Set of two PCBs for building the 2016 version of the Turing Machine, which adds new features while retaining backwards compatibility with existing expanders (Pulses, Voltages, and Vactrol Mix). PCBs have a lead-free finish with black soldermask. 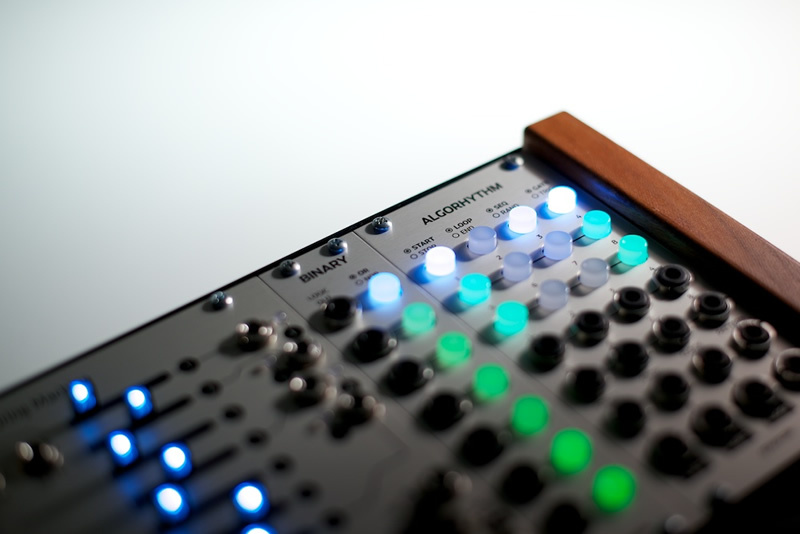 Aluminum front panels for the Turing Machine and its various expanders are also available. Verified BOM for the Turing Machine v2 can be found here. Thanks to Tom Whitwell of Music Thing Modular for making this project available under an open source license. See Github for source files and Muffwiggler for the build thread.